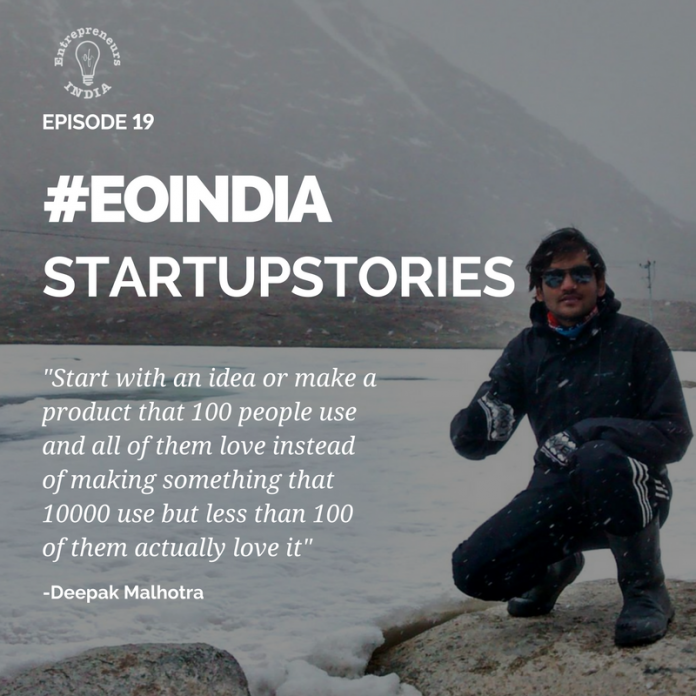 Welcome to #eoindia #startupstories Episode 19 – Deepak Malhotra. 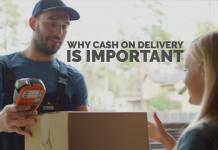 Today we talk money – digital payments to be exact. Digital payment solutions have become very popular, especially since demonetisation brought them to the fore. Today we are very excited to talk to the co-founder of SlicePay . SlicePay – formally known as “Buddy” is a digital payment platform that was founded with a mission to simplify payments for the young. SlicePay’s solution for the problems students face with finance is unique because firstly, they are solely focused on the student market and secondly they combine digital payment with microfinance. Students who sign up can access finance to purchase a wide range of products and services. Payment is then spread over a period of time to suit the student. Access to finance as a student can be difficult, so SlicePay’s solution brings a much-needed finance product to the market and they have already had their first funding round. 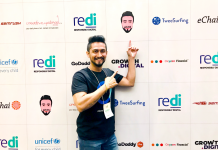 So let’s get started and meet the co-founder Deepak Malhotra (@deepak093 ).  Welcome to eoindia Deepak. So during my college days in BITS Pilani (2008-2012) they issued us new id cards in my second year. I had arrived a week late so I could not participate in on boarding program. I had to go collect my ID card from a professor. He told me about a new thing called bar code in the ID and we were told that we could use our college id card anywhere in the campus to buy things ranging from books, stationary, photocopies, food. The whole idea seemed really new and fresh but I didn’t pay any attention to it. After a few weeks passed by and we had tests coming up, I had to get notes photocopied since I missed all my classes(0 attendence in BITS Pilani btw), where the shopkeeper asked me for Rs. 37. I gave Rs. 500 because I had no change with me. He didn’t have any change either. He said pay with your ID card. He took out his barcode machine, asked me for my card, scanned it, typed a few numbers and done. No cash exchange and my pocket didn’t felt any lighter either! I asked him how will you get this money, he said college will give me tomorrow. And I asked when do I have to pay to college. He said go ask your friends. Everyone is paying by card. And you don’t even know? Later on I got to know that we would be billed at the end of the semester which was crazy. It was the first time I experienced these two concepts a.) paying later and 2.) staying cashless at the same time. I told my friends from school about it. They said they wished if it was there in their college because of how awesome that was. The seed of SlicePay was sown. India is quickly moving to a digital era with penetration of internet among 300+ million Indians and smartphone penetration has risen to 500+ million. With this digital adoption, basic needs of payments and financial services have to come online. Banks and NBFCs have primarily rules this market with a offline first approach so there needs to exist a new digital first approach to credit and other forms of financial services. They were quite concerned to start with since the idea for entrepreneurship back in 2014 was quite uncommon. 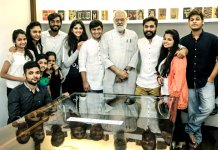 Later when I was able to convince them that I had to take this plunge, they were very supportive and so far they have played a pivotal role in the short span of last 3 years on my entrepreneurship career. In the 6 months of quitting ebay I started an app for carpooling (called it “lift”) but was not able to get tracxn for it from people of Bangalore. I spent 3 months with my co-founder building the app on this idea and after 3 months of launch it turns out nobody wanted to take other people(STRANGERS) in their cars while going to the office. It failed. I learned the single most important thing that you need to validate the idea as quickly as possible before investing any time-equity into it. If I would have done that before, I could have saved these 3 months! Another thing I learned was that you should be passionate about what you’re building. Now that I remember, I don’t myself give a lift to people who ask for it when I’m driving, so how could I expect myself to convince other people to do so! 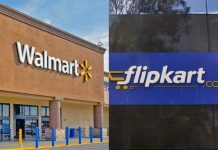 1000s of startups have spawned up in the fintech space in India and out of that 100s of them in the consumer/retail Financial Services space in which SlicePay operates. Biggest obstacle I see is competition but we have the right team, strategy and roadmap in place. Very confident that we can emerge as the leader in the space once the dust settles and only successfull startups survive. Reading, Talking to enormous number of people from all domains, Constant Curiosity of What’s new that is brewing in technology and finance. Alongside having a great idea and having pace in executing, building the right team is equally important. We had to do multiple iterations in hiring to figure out the right people for SlicePay team which we eventually arrived at. Something I wish I knew when I was starting. In books I read and people I meet through friends, work or travel. Start with an idea or make a product that 100 people use and all of them love instead of making something that 10000 use but less than 100 of them actually love it. Thank you Deepak for giving us some insights into the startup story of SlicePay . We love the advice to validate an idea before putting lots of time, money and effort into it. Listen well Entrepreneurs of India! There are many ways of validating an idea – all of them involve speaking to your customers! If you are a student in the Bangalore or Chennai areas, then check out SlicePay and get access to instant credit. You can follow their Facebook Page here. We wish Deepak and the team every success for the future, we hope to see Slicepay role out to many more areas across India. Don’t forget to check out the recommended books below. Very well written piece. Coming from a fellow BITSian, it was like music to the ears. 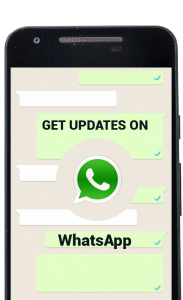 Team EOINDIA– keep up the good work. Thank you Harsh. The encouragement keeps us going.